Although we already have quite a lot of information regarding transportation on our website, here’s some practical info -a short summary or a reminder- to get around town next week. -When you arrive in Zaventem airport or train station “Ghent Sint Pieters” next week, be sure to look out for our volunteers. They can guide you or give you directions! Don’t forget there is a free shuttle from Ghent Sint Pieters railway station to our meeting center on Wednesday. -When you’ve picked up your accreditation at the meeting center, you can start using all public transport (trams and buses) for FREE. We absolutely recommend you to do this :). Check https://www.delijn.be/en for timetables, hard to figure this out? Check this document to help you with your search. Remember: the deal we have with the public transport company is you can only start using public transport for free WITH your accreditation. Your accreditation = your ticket. So always carry it with you. -Ghent’s city centre is relatively small. You can do a lot of things on foot or by bike. 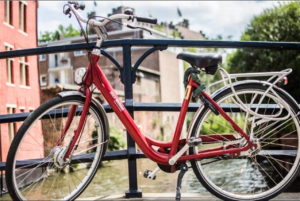 It’s possible to rent a bike via this link: http://bit.ly/2rGqxYE. Want to plan your route beforehand? Go to http://fietsrouteplanner.gentfietst.be/. 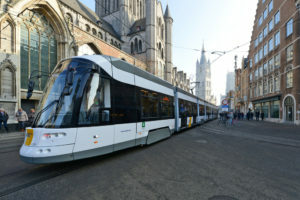 -For those of you who are planning to come by car: driving in Ghent’s city centre (inside the ring road) has changed quite a bit since we had our new ‘circulation plan’ meant to limit traffic inside the city. You should know there are 7 city zones (centrum, Tolhuis, Portus Ganda, Krook, Coupure, Brugse Poort, Rabot) and the limits of those 7 zones are marked on the streets with red stripes. You may not cross those stripes by car otherwise you could get fined. Remember that if you need to go from one zone to another inside the city centre, you always have to drive back to the ring road (R40) before you can enter the other zone. In short: parking your car in one of the main car parks and travelling further on foot or with public transport afterwards might be easier for you. -Need directions to go to our sports facilities? Check this link or check the page of your sports discipline, there you will also find the directions. Look at : “1. Sports Venue”. ← 3 things you need to know about the ECSG2017 opening night!